True discipleship occurs through the transforming power of God’s spirit and the intellectual sharpening of our minds. In the discipleship process it is our desire that every student first knows Jesus Christ as their personal Savior and then grows to spiritual maturity. We communicate this process through our discipleship model. Our intellect is engaged through Teaching for Understanding, our character is developed by Cultivating for Transformation and our service to God and others is instilled through Mentoring for Growth. To implement this model ECS provides strong academic training, creates a school culture for transformation and incorporates ministry opportunities within the school and into the community. Daily Bible classes train our students in biblical truth and the knowledge of God. This instruction includes learning the stories in the Old and New Testaments, memorizing verses, the study of doctrine, studying specific books of the Bible, themes of the Bible and of course the Gospel message of the Bible. The articulation and defense of the Bible, apologetics, is taught in the upper grades along with an emphasis on a biblical worldview. Chapel is held each Thursday. There is an elementary chapel (K-5) and a secondary chapel (6-12). Our student-led worship team lead the singing and speakers from around the area come to share a message with our students. 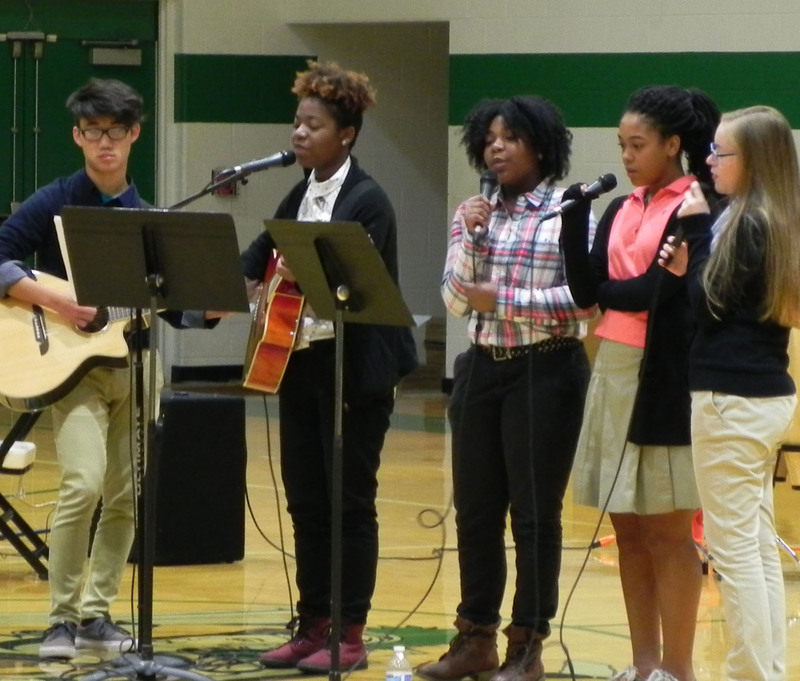 Once a year each class presents a special chapel where EC students prepare the music, the message, and more.